In the midst of a widening skills crisis the construction industry must spell out how it will train more British workers to avoid a calamitous Brexit for the sector Unite said today. Unite made the call as trade bodies this week warned that house builders in particular faced a cliff edge in terms of its access to EU workers post-Brexit. The trade bodies have called for more details of the government’s plans to implement a two-year grace period for EU citizens looking to apply for settled status and for a post-transitional migration system, based on key occupations where workers are in short supply. But Unite said it was time the industry demonstrated that rather than relying on cheap labour and exploitative working practices, it was committed to training home grown talent through the provision of high quality apprenticeships ensuring all construction workers are directly employed in secure jobs. 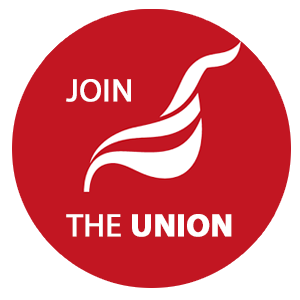 Unite assistant general secretary Gail Cartmail said: “The ongoing uncertainty over the rights of EU citizens to remain in the UK is resulting in workers leaving the UK and is exacerbating the deepening construction skills crisis and threatening to seriously damage the industry. “But those trade bodies need to set out what they intend to do to kick their addiction to cheap, foreign labour and horrific employment practices, not just ask how they can go on relying on EU labour after March 2019. “Tens of thousands of young people are being placed in ‘dead end’ classroom based construction courses and these courses totally dwarf the number of construction apprentices beginning their training. “This is at the same time that the CITB plans to cease providing training directly and instead divest courses to other training providers. It is clear that the industry needs to get its house in order. “Unite is renewing its call on the industry to work with us to ensure that major construction projects train high numbers of apprentices. Unite will kick down doors to ensure that the number of high quality apprenticeships increases."